"Cross the drawbridge, enter the turret, descend the spiral stairs, and explore Inside - you will find a spacious Reception Area with a cozy open fire and comfortable sofas which you can arrange to suit yourselves. You can choose where you would like to get married in the Fort, where to hold your wedding banquet or buffet." "A stunning location right on the coast - and it holds a civil marrigage licence. There is room on the lawn for a very large marquee with superb views. As a self-catering venue you can choose your own suppliers plus there are six bedrooms on site. If you are looking for something very different - this is it!" All reviews are the subjective opinions of third parties and not of the website or its owners. Reviews are placed by members of the public that have held a function or event at Polhawn Fort. 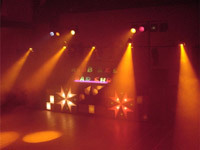 At needadisco.com we only accept reviews from confirmed clients that have booked a DJ to play at Polhawn Fort via our website, with the arrangements independently verified by both the DJ and the client before the event takes place - no "fake reviews" here! Helpful information for DJs and entertainers visiting Polhawn Fort provided by trusted members of needadisco.com. PARKING: Parking can be difficult especially if there are a lot of guests. ACCESS: Access is not easy, you either go around and down a long path which is quite steep and several hundred meters long or you can go down what can often be slippery steps across a decking and then down a narrow spiral staircase, not recommended if carry equipment. FACILITIES: It is close to the fire exit/disabled access which the long path leads you to with several sharp corners uneven paths and other obstacles and is also at the bottom of the Spiral staircase. STAFF: The staff are fantastic, really helpful and friendly, you couldn't ask for better. ADDITIONAL COMMENTS: "Obviously it's a very old Fortress, stone walls, stone floor, there are brickwork arches which almost separate different areas. You have an immediate dance floor area in front of you and then through the bricked arch is what the guests will use as a secondary dance floor area. Getting from the Car park to the setup area is no easy task, allow plenty of time and we would suggest you have a rock n roller cart or better. What makes this venue is the staff are excellent." ACCESS: Very difficult access - leave plenty of time for load-in. A long walk down a steep slope to get to the function room door. Alternatively go down 8 steps outside then a very tight stone spiral staircase. 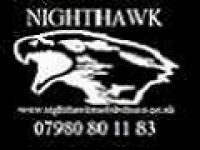 ADDITIONAL COMMENTS: "Has noise complaint issues with residents so tend to use a handheld decibel meter"
Information is based on enquiries and bookings handled via needadisco.com so whilst it's a great insight, if you have any questions or concerns about holding a function or event at Polhawn Fort please contact the venue. Polhawn Fort has previously been hired as a venue for private parties such as birthday celebrations, anniversaries, engagements etc. Polhawn Fort is in our Historic Venue category. The map below shows other local venues in the same category.